(NaturalNews) They're fun, somewhat exotic and the dominant utensils used in Asian cuisine. But chopsticks, specifically the disposable varieties commonly found at Chinese take-out restaurants, are often brimming with toxins. And the Chinese government seems to not care, as it has done nothing to ensure the safety of these products, which are used by tens of millions of people across the globe. Famous Chinese actor Huang Bo recently posted a public message on social media about his experience with Chinese-made, disposable chopsticks. In an attempt to reduce waste, Bo tried to wash a pair of disposable chopsticks he picked up at a local restaurant, only to discover that the utensils were turning the wash water yellow. They also emitted a pungent odor that Bo says revealed all he needed to know about their safety. "Stop using disposable chopsticks," wrote the environmental and human health advocate in a message that was quickly shared by more than 125,000 readers. "[I]t is not about saving the environment anymore, it is about saving your own life." 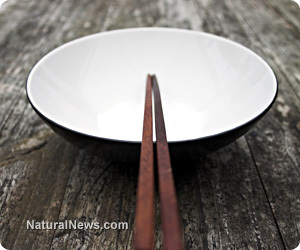 It probably never comes to mind for the average diner, but disposable chopsticks are routinely treated with chemical preservatives like sulfur dioxide, which the U.S. Centers for Disease Control and Prevention (CDC) lists as potentially life-threatening. Long-term effects include breathing problems and chronic inflammation. "Sulphur, hydrogen peroxide, sodium sulfite and mold inhibitor, are chemical substances commonly used to make disposable chopsticks, even though they are not allowed," says Dong Jinshi, secretary-general of the International Food Packaging Association (IFPA), noting that the color and smell of chopsticks can indicate whether or not they were treated with chemicals. "For example, the standard says food-grade sulphur can be used in the production of bamboo chopsticks, while the sulfur dioxide residue should be controlled under 600 milligrams in one kilogram of chopsticks. But sulphur is not supposed to be used for wooden chopsticks," he adds, as quoted by China Daily. Believe it or not, most disposable chopsticks are still produced in small workshops nestled in mountainous Chinese villages. As idyllic an image as this might portray, many of these workshops are failing to abide by national standards for chopstick production, some of them using much higher levels of chemicals, and even unapproved chemicals, during production. Established back in 2010, China's chopstick production standards were implemented to limit the use and amount of chemicals used in order to ensure a safe product that other countries would feel comfortable importing. But some four years have passed since their enactment and the Chinese government has yet to enforce them. "There is not even a specific government department in charge of the quality control," says Dong, pointing out that many of the regions in China where chopsticks are produced still do not even require production licenses, which means that even tracing their source is a challenge, let alone trying to determine how they were manufactured. "For example, there are seven or eight chopstick plants in Daxing district, Beijing, all in charge of packaging," Dong is quoted as saying. "Because the chopsticks go through so many intermediate sellers, even the chopstick plant owners cannot specify the origin of their products." It is best, say some experts, to simply avoid all disposable chopsticks, opting instead for portable ones that can be washed and reused without the need for chemicals. Either that or stick with a less-exciting fork or spoon.